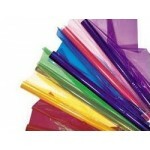 900x1000mm - Pack of 12 Assorted Colours ..
900x1000mm - Clear - 25sheet ..
Cellophane Metallics pk 25 ..
Cellophane pk 25 sheets Available in 12 colours ..
Crepe Paper. Pkt. Over 30 colours in the range . Please select the colours you require from the Available Options. ..
Crepe Paper Logs. Crinkled heavy tissue paper, perfect for decoration and art projects. 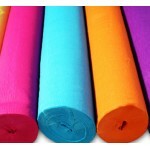 Available in bright vibrant colours in roll form. . Please select the colours you require from the Available Options. 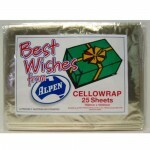 ..
6rolls - crepe streamers, christmas colours (2 Red, 2 White, 2 Green) ..
Rainbow Foil Crepe. Pkt. 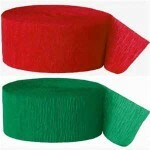 Available in 5 colours ..